I really like to make stuff! And I like it even more when I can upcycle old crap that was going to be thrown out and turn it into something awesome. This cuts down on waste and saves you money, and I like that too. So I wanted to make some kind of ‘memo board’ where I can write down lists of things I need to do, reminders, wish lists.. all my art related stuff in one place. And of course, make it pretty. So I did a little research for ideas and inspiration and found this little beauty at ‘House of Giggles’ which you can find here: http://myhouseofgiggles.blogspot.com Of course, I put my own twist on the design and tried to use items I all ready had. If you’re anything like me – a bit of a hoarder, then it’s not hard to find everything you need at home! 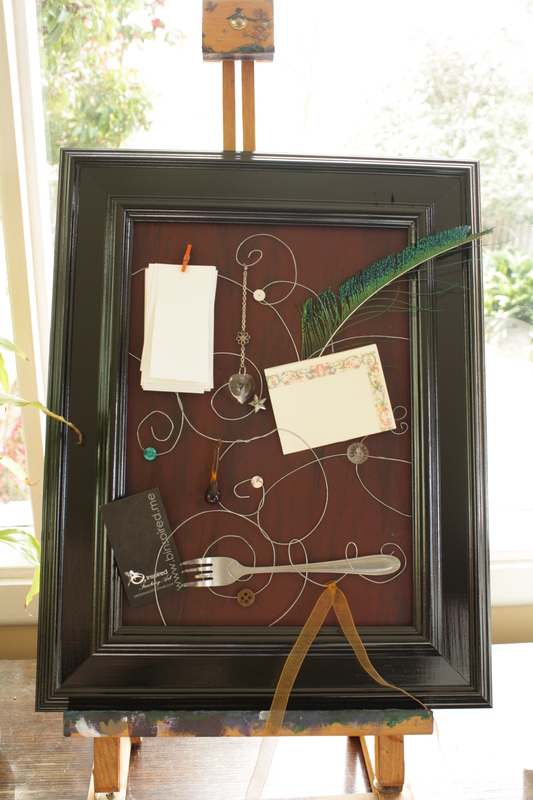 To make this one I used a hot glue gun, an old picture frame that had no glass, some wire, acrylic/enamel paint, random beads & buttons, ribbon, broken jewelry, broken glass dew drop, a peg, peacock feather, a fork, recycled pieces of paper. To paint the board I used burgundy and black acrylics smeared together, 2 coats. When it was completely dry I put the wire curls back on and taped them at the back while I used a hot glue gun to glue them into place. (You’ll need to hold the wire down in most areas but it doesn’t take too long to grip.) With each glue spot I squished a button or bead onto it. Don’t forget to glue the back as well and remove the tape. 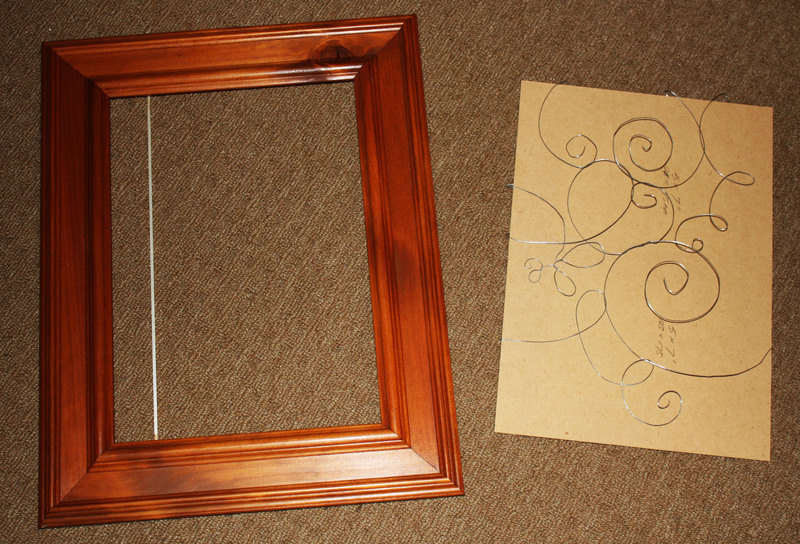 I painted the frame with black gloss enamel paint, and put it all together. Then to pretty it up a bit more I went through my collections of shiny salvaged treasures (I collect all sorts of broken jewelry, beads, buttons, ribbons, odds and ends) and plucked out a few pieces to add. Have a play around, see what works.. get creative! 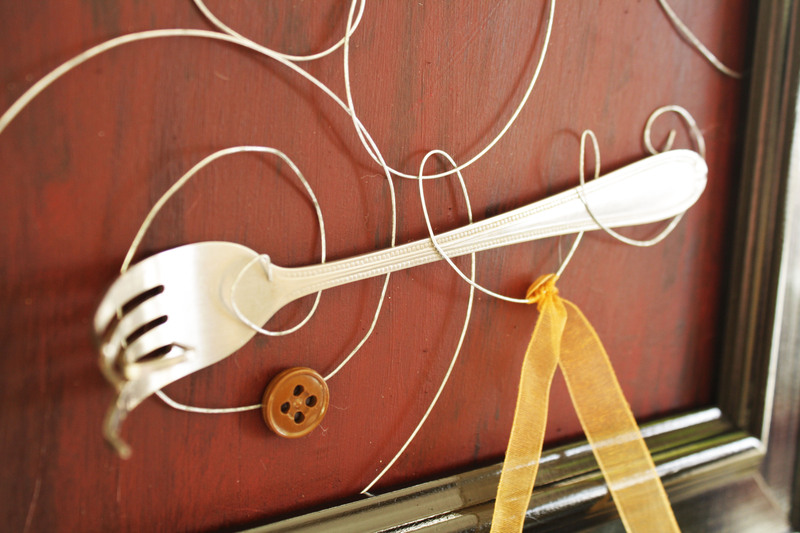 The fork was bashed with a hammer to curl a prong and make it into a pen holder. I used a mini peg to attach pieces of paper for my notes and all the paper is (and will) come from chopping up pre-used paper. 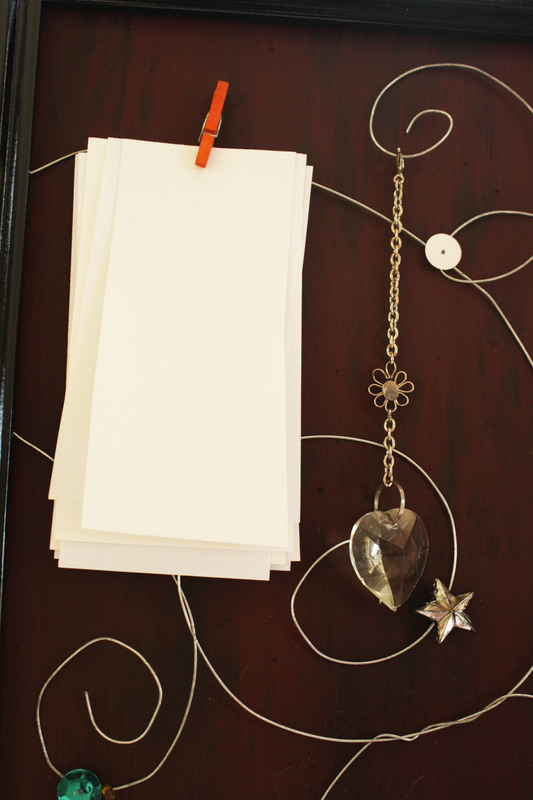 photos, business cards and folded notes can all be slotted into the curly wire design. So there it is! Hope I’ve inspired you to try making one. The best part is you design it to suit you – add photos, hang your keys on it, write a bunch of positive messages and change them around or get your friends to write notes. Try and use things you all ready have so you’re recycling and it doesn’t cost you anything! 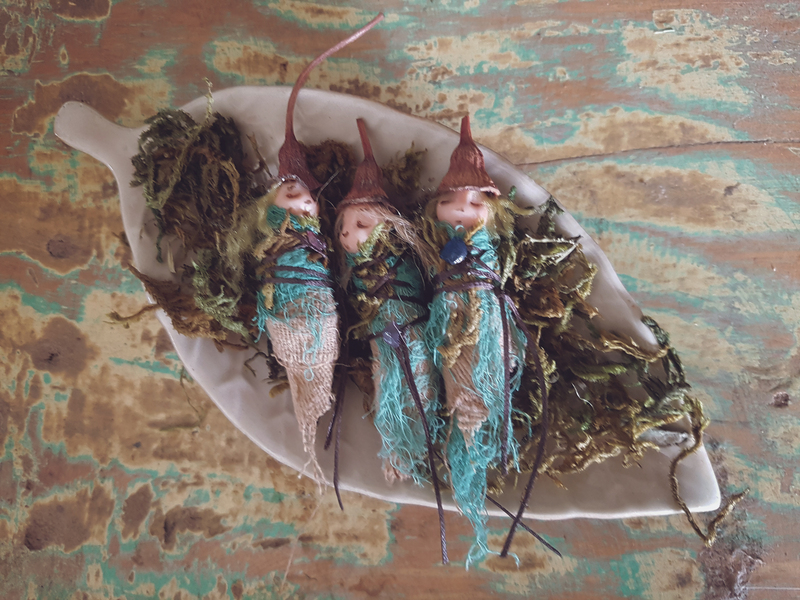 ← Faery Photos @ The Pixie Collective!